Uruguay captain desperate to lead country at Copa America, plus Iran coach quits after being prevented from leaving the country. Diego Lugano in action for Uruguay at last summer's World Cup. • Uruguay defender Diego Lugano has joined Swedish top-flight side Haecken until the end of the season in a bid to win a place in his country’s Copa America squad this summer. The 34-year-old, who has been without a club since leaving West Bromwich Albion at the end of last season, is recovering from a knee injury suffered at the 2014 World Cup finals, where he captained his national side. • Ajax captain Niklas Moisander has signed a three-year deal with Sampdoria and will join the Serie A side at the end of the season. • Zoran Milinkovic left his role as coach of relegation-threatened Vozdovac and joined Belgrade neighbours Partizan after the Serbian league leaders sacked Marko Nikolic. • CSKA Sofia appointed Galin Ivanov as caretaker coach after Stoycho Mladenov resigned following three successive defeats that saw the team slip to second in the Bulgarian league. • Giovanni Van Bronckhorst has agreed to take over from Fred Rutten as Feyenoord coach at the end of the current Eredivisie season. Van Bronckhorst says it is ‘an enormous honor’ to coach the team he joined as a junior. The 40-year-old won league titles in Scotland, England and Spain with Rangers, Arsenal and Barcelona before returning to Feyenoord to finish his playing days. Carlos Queiroz has decided to quit as Iran coach, just months after renewing his contract. • Carlos Queiroz says he will quit as coach of Iran after this week’s two friendly games in Europe, just six months after extending his contract until 2018. Queiroz was finally allowed to leave the country to prepare the team for their two forthcoming friendly matches, after being originally prevented from flying to Austria over a tax dispute. 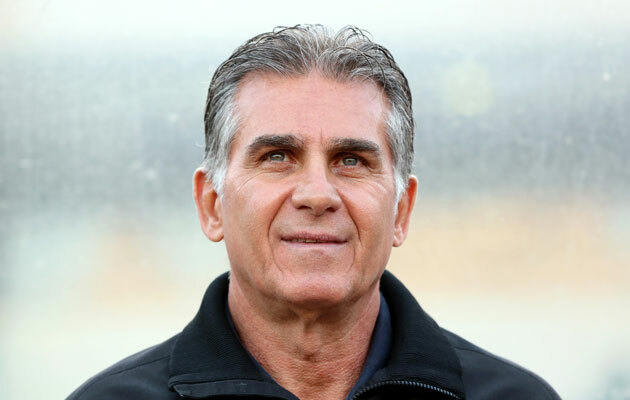 The Iranian government had been trying to get Queiroz to pay income tax, which the coach believed was the Iranian football federation’s duty to pay. • Utrecht coach Rob Alflen and his advisor Co Adriaanse will step down from their roles with the Dutch club at the end of the season.